We welcome artists who sell their hand stamped products made using Inky Doodles stamps. We are flattered that you choose to use our products. It can be tough to sell your cards but also very satisfying, we hope to make it a little easier for you by providing high quality products and good design. 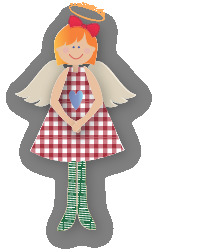 Our angel policy is a limited licence granted by the copyright holder, Inky Doodles, only with the purchase of our stamps, for commercial purposes, with the condition that only hand stamped images may be used to make products for sale. Each craftwork must be individually and personally stamped by the selling artist. No photocopying, mechanical or electronic means of reproduction is allowed. If you are a genuine hardworking artist who sells what they make with their hands, go have fun selling your creations you made with Inky Doodles products to others in the largest quantities you can dream of. Angelic eh? You are also welcome to use the designs of cards or other artistic paper-craft featured on the site as far as Inky Doodles are the copyright owner – this means Inky Doodles’ own Gallery of paper creations. We would love to see the things you make and talk crafting, by the way if you would like to share some of what you do with Inky Doodles stamps you will be able to do so in our Community section or by email. Contact us – if you want to do something reasonable and you communicate with us then we’re sure there is a solution, we just want to own the results of our hard work. Inky Doodles designs, stamps and resulting images are original artwork created by Inky Doodles and subject to full copyright protection. See Terms and Conditions page for full T&C's - everything related to Angel Policy is above though.